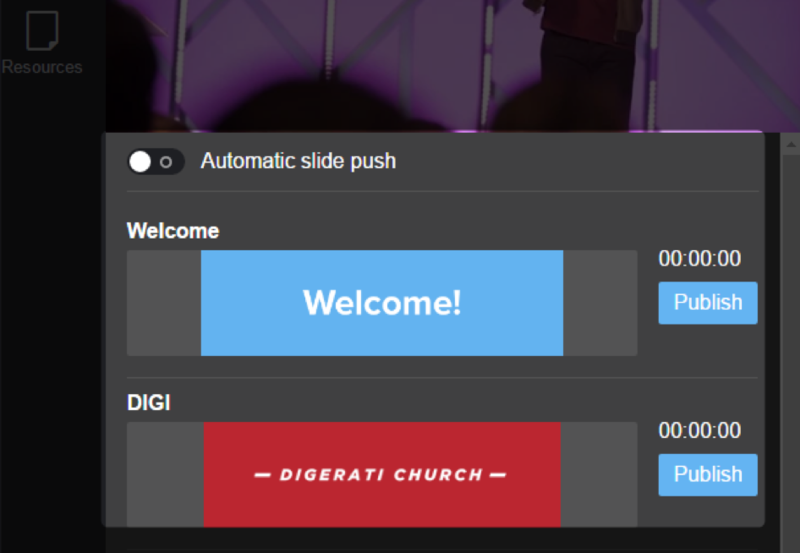 Slides in the Church Online Platform allow you to further engage your audience by communicating information during the service outside the video and chat windows in real time. Slides can be an interactive poll, text or an image that the attendee can click to open a ULR, or a Salvation slide that can be a virtual hand raise during event. In this topic we will cover how to view slides during a live event in the Host Tools. 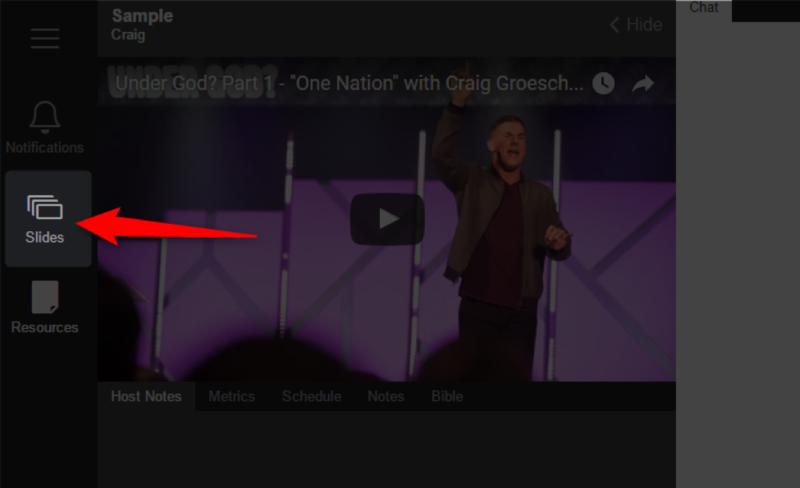 Instructions for settings up, copying, editing, deleting or using Salvation slides can be found here. The Controls below the video window will change to display all the slides associated with your event as well as the controls to operate the slides. During a live event you can publish slides manually as the event progresses. 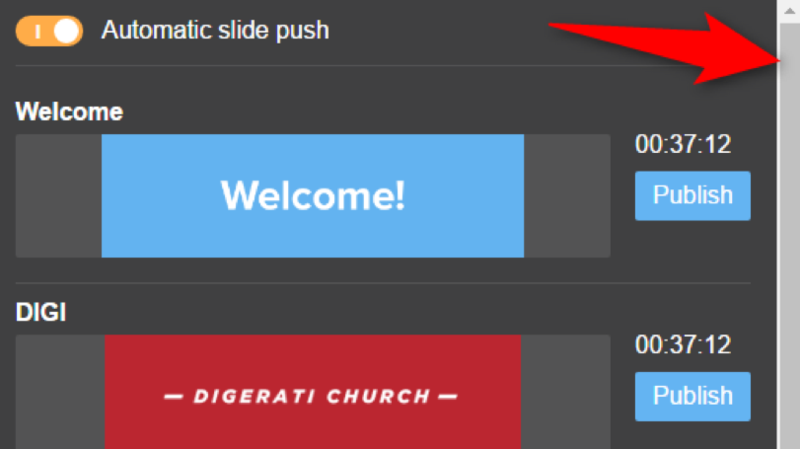 To manually advance Slides Make sure the “automatic slide push” toggle is set to off. Then Select the “Publish” button next to the slide you want to display. This slide will display until the next slide is activated. *Tip: If you would like to turn off slides during an event add a slide with a transparent layer or the same color as your theme’s background. This makes it appear that you’ve turned off the slides or if timings have been setup for the slides for your event you can turn on “Automatic Slide Push”. 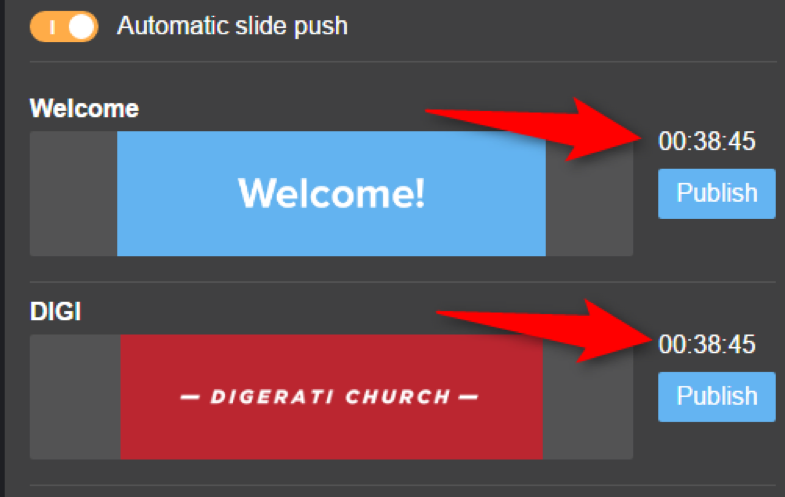 To have slides automatically push click the on/off switch next to “Automatic Slide Push” so the toggle switch turns orange and the on icon displays. The Timings next to each slide will change from 00:00:00 to the time remaining until the slide will be displayed.